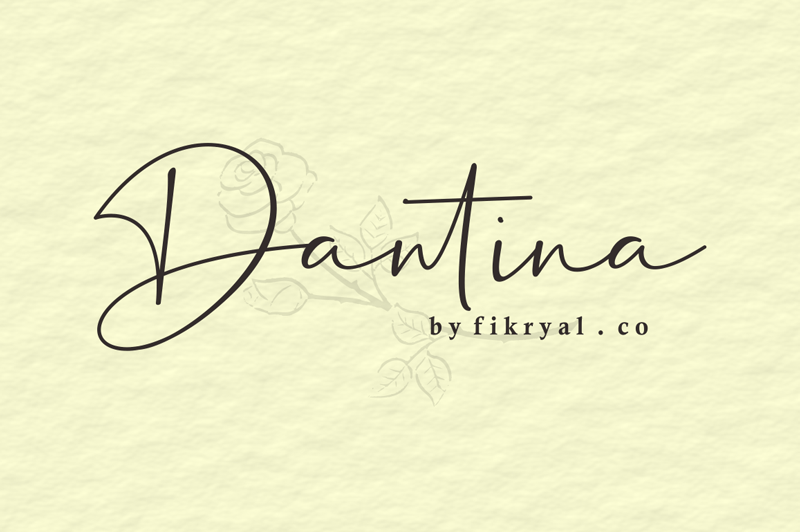 introduce my newly released product, Dantina. Dantina is a handwritten font with little effect on fast hand scratches or signatures. This font is perfect for your needs such as: Logo, Branding, products, packaging, magazines, webdesign, advertisements, banners, posters, titles, etc. and don't forget to follow my Instagram social media on @fkryall to see new fonts !!! !